We went to Buenos Aires in September, where Giorgio Gennari, the charismatic industry businessman and Director of Monografie S.A., organiser of SAGSE Buenos Aires, had put together a supremely elegant event. The change from the show’s usual dates meant the absence of some leading global companies but many had confidence in the event in lovely Argentina. Now in Lima in the process of organising the last details for GOL EXPO PERU, first sports betting and online betting event in the country. When these lines are being read, the show will have already taken place (25-26 September), an we will report on this and SAGSE in the next issue of our sister publication Casino International Americano. From here we leave for Las Vegas for the mega G2E show, where we surely will encounter the whole gaming world! See you all there! For the gaming industry in Peru it was a Thursday 13ththat brought ill tidings. 13 September 2018 was the day that the official publication El Peruano published the Presidential Decree that a selective tax on consumption (ISC) will be added to casino and slots operations. In effect, this means that casino games, slot machines and online bets will pay more tax, as will lotteries, bingos, raffles and draws, and horseracing events. In the case of casinos every gaming table and slot machine will be taxed according to its net monthly revenue. The ISC tax will become active from 1 January 2019 and applied to every gaming table and slot machine in use. The amount payable will not be less than the fixed rate established by the level of net income. Global casino and hotels leader, Sun International has submitted condensed consolidated financial information for the six months interim period ending 30 June 2018 to the Johannesburg SE, which included report for Latin America includes the historic trading of LatAm subsidiary Sun Dreams for the six months ended 30 June 2017.
benefitted from its new entertainment arena and a refresh of its restaurant offering. This helped drive footfall and income, which was up 6%, with EBITDA up by 10%. In addition, certain costs were moved from Monticello to the central office. 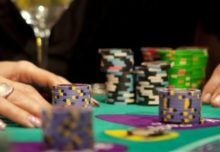 The closure of the Ocean Sun Casino in Panama’s capital city led to a decrease in income, and while the property has continued to incur a loss, it is moving closer to a breakeven situation. SI continues pursuing opportunities to sell the 65th and 66th floors of the Towers where the Ocean Sun Casino is situated. One might say that justice is delayed but eventually arrives. It is reported in Paraguay that the last administration did what it liked in the gambling sector, from the sports betting concession granted to a friend of ex-president Horacio Cartes, to the political push afforded the head of CONAJZAR (regulatory body), and to the sale of national land for a casino. All this aided and abetted by the judiciary. The Paraguayan newspaper ABC Color, which has led a crusade against corruption in the country, reports that the Ministry of Public Affairs has requested the reopening of the investigation into the intent to appropriate the prime zone in Ciudad del Este for a casino hotel in the grounds of the ANNP (Port Authority). ABC Color also reports that judges, functionaries and politicians are involved in the judicial process mired in controversy over the presumed fraudulent attempt to dispossess the nation of its patrimony. Andres Arriola, the new public prosecutor, has requested the case be reopened to investigate in depth. The case against the previous authorities is for illegally passing a resolution to install a hotel casino in Alto Paraná and for openly violating the ANNP law that states that the port may not be used for financial, commercial or industrial purposes other than port business.